One of the processes that is key to the formation of the Galapagos Islands involves plate tectonics. 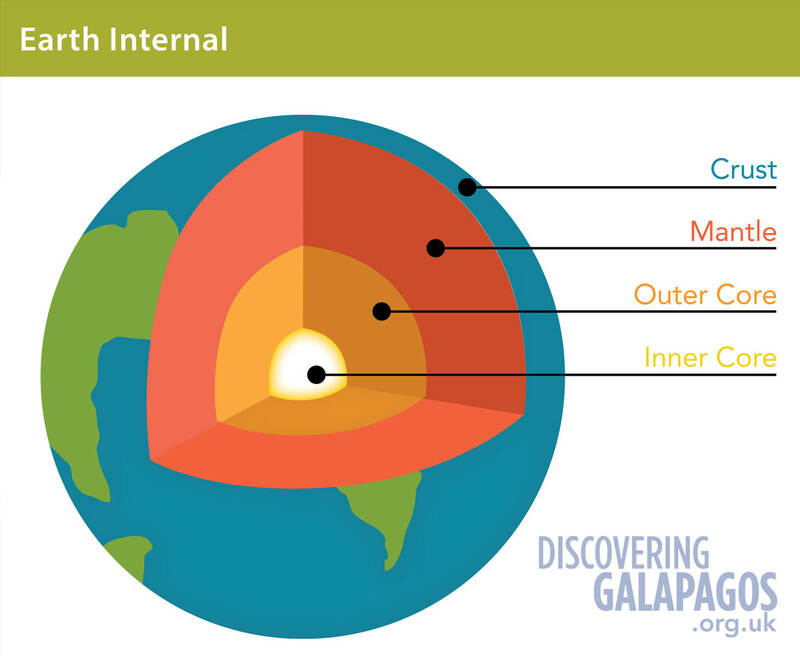 The structure of the Earth is made up of many layers; a very hot inner core (4,000°C), the outer core (3,500°C), the lower mantle and upper mantle which are liquid, and a solid crust. Our planet has existed for around 4.5 billion years, you can find out more about the history of Earth here. The crust is made up of heavy oceanic crust and lighter continental crust. These are broken up into pieces which move on the liquid mantle below. 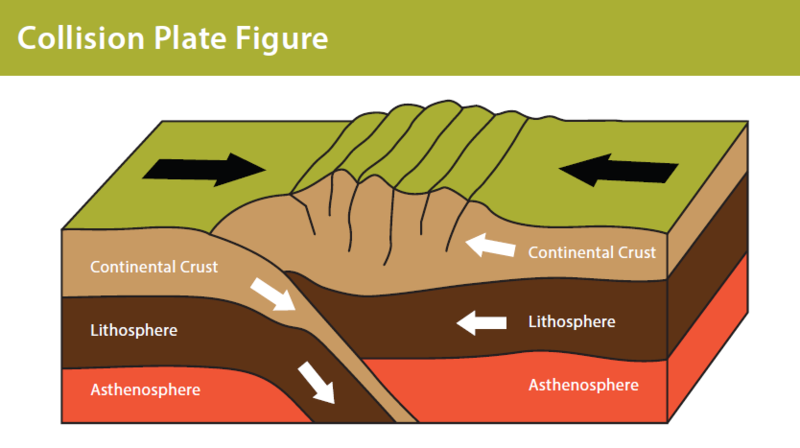 According to plate tectonics the Earth’s crust is made up of many pieces, called plates. Some plates carry continents and oceans, others just ocean. They move very slowly in different directions driven by the convection currents in the mantle below. The places where plates meet are called plate boundaries. 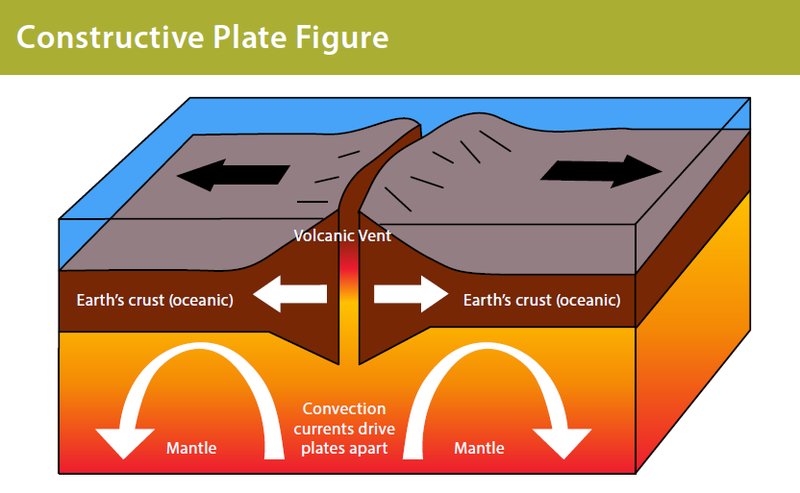 A destructive plate boundary is sometimes called a ‘convergent plate margin’. This occurs when oceanic and continental crusts move towards each other. The oceanic plate is pushed underneath the continental plate because it is more dense, this forms the subduction zone. 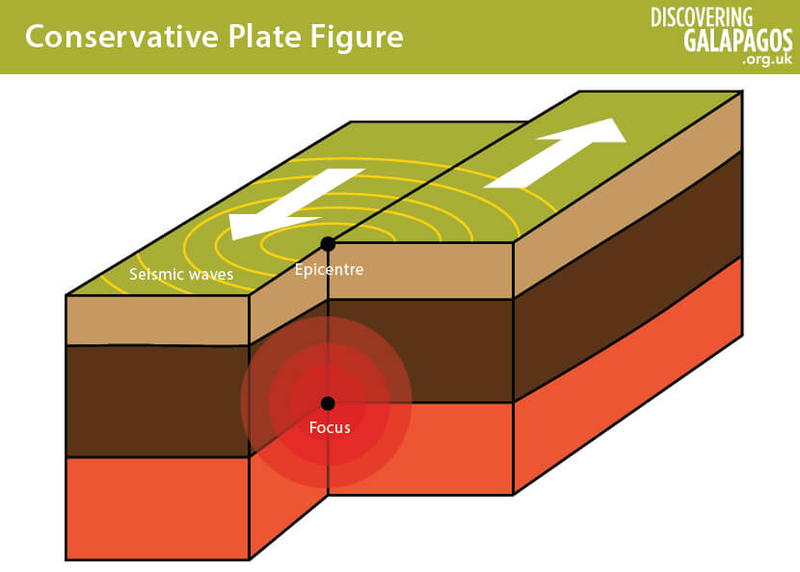 The friction of these plates rubbing against each other causes melting of the oceanic plate and can cause earthquakes. Magma from deep in the Earth’s mantle rises towards the surface through the cracks and erupts at the surface and a volcano can form. Sometimes the magma doesn’t reach the surface and solidifies underground to form igneous rocks. One example of a destructive plate boundary can be found between the Nazca and South American plates. The Nazca plate is forced under the South American plate. This type of plate boundary involves two continental plates colliding with each other. Neither plate can be forced under the other because they are both lighter continental crust, so both are forced up. This process forms fold mountains. For example, the Himalayas were formed by a collision plate boundary. 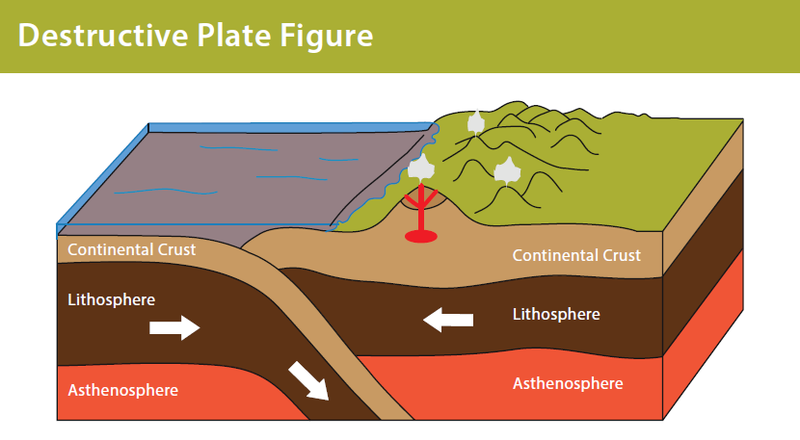 A constructive plate boundary, which is sometimes called a ‘divergent plate margin’, is where plates move apart from each other. As they do this, magma wells up to fill the gap and when it reaches the surface new crust is formed, often in the form of a volcano. The Mid Atlantic Ridge was formed due to constructive plate movement. A conservative plate boundary, which is sometimes called a ‘transform plate margin’, occurs when plates move alongside each other, in the opposite direction or in the same direction at different speeds. When plates slip past each other creating sudden movement the result is an earthquake. The San Andreas Fault in California (USA) is an example of a conservative plate boundary.